How much is Paul Scheer Worth? Paul Scheer net worth and salary: Paul Scheer is an American writer, actor, and comedian who has a net worth of $4 million dollars. That is a combined net worth with his wife June Diane Raphael. 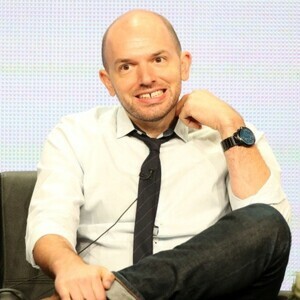 Paul Scheer was born in Huntington, New York, and went on to attend New York University. He began performing in the Off-Broadway show, "Chicago City Limits" in the mid-90s, and toured with the company for the next three years. He also began performing with the Upright Citizens Brigade Theater, and won multiple awards for his long-form comedy work. After writing, starring in, and producing his own successful comedy show, he relocated to Los Angeles in 2006. In addition to appearing in a variety of popular sketch comedy shows in Los Angeles, he has also enjoyed a successful film and television career. Some of his projects include, "School for Scoundrels", "Bride Wars", "Piranha 3D", "30 Rock", "Human Giant" (which he also co-created), "Parks and Recreation", "Happy Endings", "Comedy Bang Bang", and "Modern Family". Paul appeared in 84 episodes of the FX series "The League". He appeared in the 2017 film "The Disaster Artists" among many other successful comedy films. In 2018 Paul won a SAG award for his work on the HBO series "Veep". Paul is perhaps most notable to some people as the main host of the popular podcast "How Did This Get Made?". 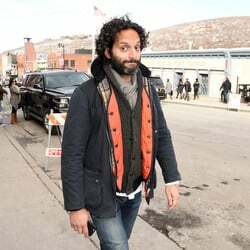 He co-hosts the show with his wife June Diane and fellow comedian Jason Mantzoukas.